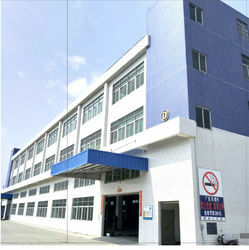 EWONG is a group company limited, it has two subsidiaries company. Leguan mainly Specializes in kitchenware include Pressure cooker, rice cooker, multi cooker, Fruit dryer machine, mini heater and other innovative new product, which locate in Shunde Foshan, we own assemble lines, tool shop and injection molding plant, our annual productivity over 8,000,000pcs, to improve the company management and quality of product, Leguan strictly implements ISO 9001 Quality management system. Besides,most of our products passed UL,KC,CE,FCC,ROSH,and quality test certification, and own patent. Our product enjoy popular and good reputation in Europe & America and Southeast Asia markets. Huapu is a leading global new energy solutions provider. we have established a competitive edge of end-to-end solutions in solar power system area. Ewong Leguan establish in 2003, mainly Specializes in kitchenware include Pressure cooker, rice cooker, multi cooker, Fruit dryer machine, mini heater and other innovative new product, which locate in Shunde Foshan, we own assemble lines, tool shop and injection molding plant, our annual productivity over 8,000,000pcs, to improve the company management and quality of product, Leguan strictly implements ISO 9001 Quality management system. Besides,most of our products passed UL,KC,CE,FCC,ROSH,and quality test certification, and own patent. Our product enjoy popular and good reputation in Europe & America and Southeast Asia markets.